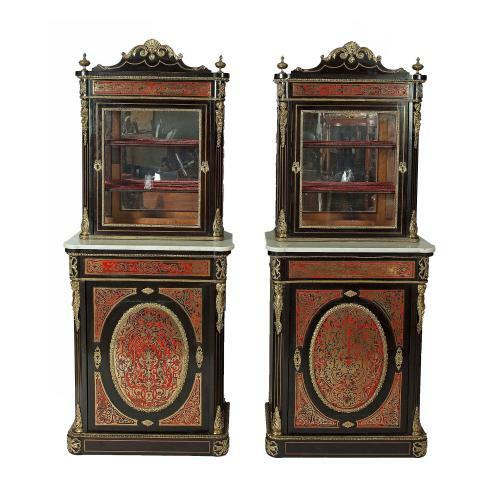 This impressive pair of antique French cabinets exhibit an excellent example of the Boulle technique, notable for its fine detailing in tortoiseshell. 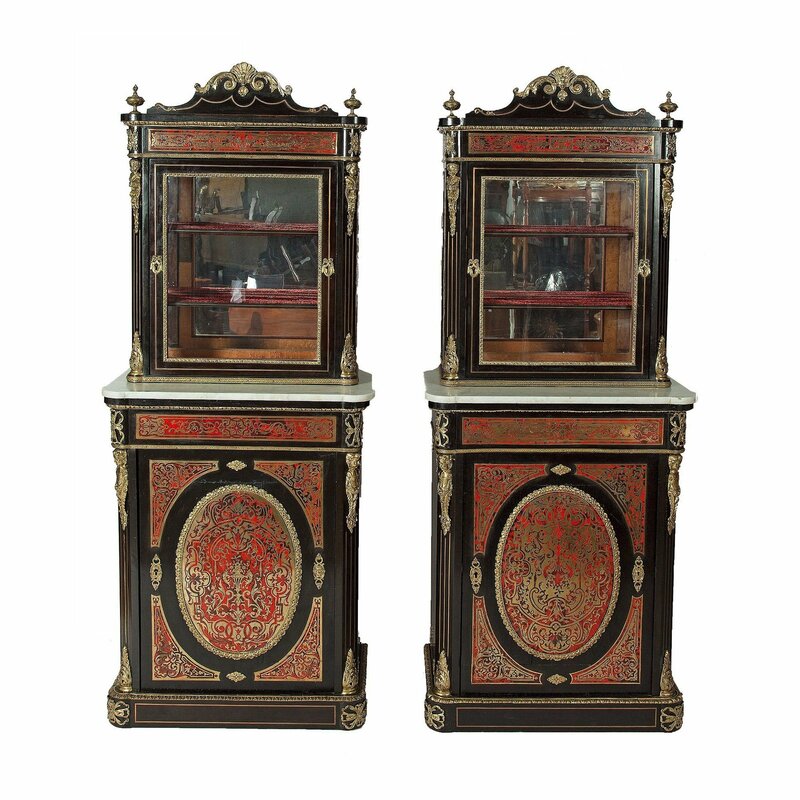 Each cabinet is crafted from ebonised wood and features Boulle panels of inlaid brass and tortoiseshell. The closed cabinets to the bottom have oval Boulle panels on their front and are applied with cherub mask ormolu mounts. The display cabinets are above, and are supported by white marble tops. The doors of the display cabinets are glass, and open to reveal an interior with two shelves and a mirrored back. They are both surmounted with an arched cornice and urn finials on either side.